Getting to know someone means something to Daniel Long. The owner of Northstar Industries in Littleton, North Carolina, puts a lot of stock in relationship building with the financial institution he works with. That’s why he keeps working with Stearns Bank on his equipment financing. He has held seven contracts with Stearns Bank and has come to value the camaraderie he has built with client relations representative Tasha Fischer. Northstar Industries, which Daniel started in 1999, works on everything from septic systems, to taking down trees, digging basements and doing complex grade work. 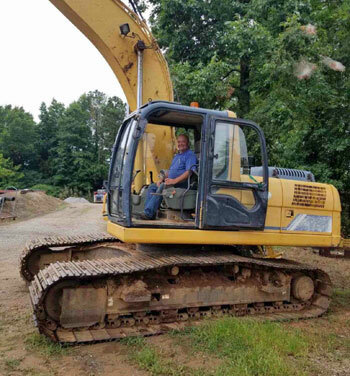 Daniel most recently financed an excavator that has already come in handy for his business. Daniel has worked with other financial institutions in the past, but his work with Stearns Bank stands out to him. In fact, he would refer others in the construction industry for equipment financing with Stearns Bank. “I would definitely do that. They are flexible and their employees get back to you right away. You can’t go wrong with that,” Daniel said.